Home » Ductless Knowledge Library » How Does Groundhog Day Affect Your Home? If you believe in the Groundhog Day tradition, it’s a relief to hear that the cold dark winter days are hopefully coming to an end. There are always conflicting predictions from groundhogs in different regions, but our native furry forecaster named Staten Island Chuck has a thriving record of 80% accuracy. Our local groundhog provides the local prediction for the greater New York area. 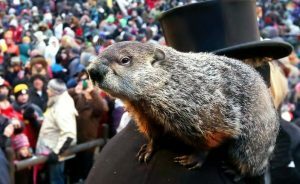 That means that while busy New Yorkers were getting ready for work on Thursday morning, Chuck emerged from his hibernation to let them know there’ll be an early spring. If you live in Queens, Manhattan, Brooklyn or the Bronx, and even areas of closer New Jersey, you could imagine that makes sense. Winter seems close to over based on the unusually warm season we been having. But how does this affect the average homeowner? Sure, it’s a relief from the barrens of Winter. Spring being around the corner means we’ll have to deal with the dreadful heat of the Summer soon enough. Beat the rush of fixing or upgrading your home’s air conditioning system now! How does it affect average homeowner? Richair Comfort Solutions is the leader in ductless comfort systems installation and service in the greater New York area. Servicing Queens, Brooklyn, Bronx, Manhattan, and North Bergen County of New Jersey. The competition gets hot closer to the Summer and by the time you realize you need your system tuned up, it may be too late to schedule an emergency visit with your local contractor. We are still offering SUPER DISCOUNTS of up to 30% or even more. Additionally, if you also get an Extended Service Agreement, you will have your system checked annually before high season, ensuring the proper maintenance and full efficiency of your system. You also get free troubleshooting and priority visits during an emergency. And definitely, don’t wait to switch your system to ductless if you were planning on doing so this year – now is the best time to do so. 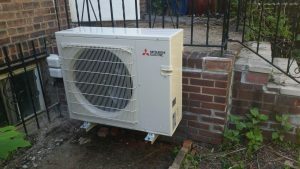 You’ll be so in love with the Mitsubishi ductless mini-split heat pumps. And paired with great price – it becomes great investment in your home. Don’t delay! Spring is on the way and the perfect time to call Richair about your home’s HVAC system!